Nikephoros II was Byzantine Emperor from 963 to 969. 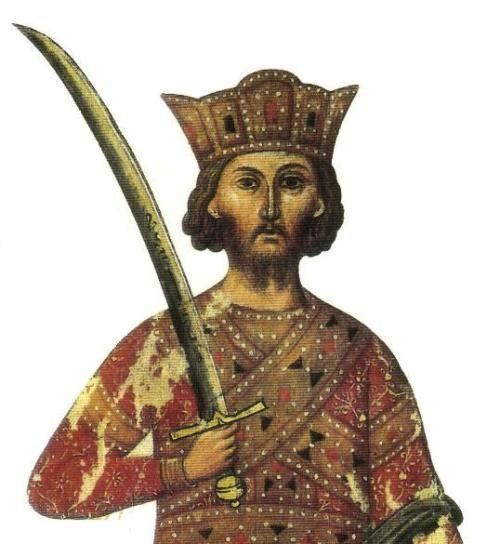 His brilliant military exploits contributed to the resurgence of the Byzantine Empire during the 10th century. The plot to assassinate Nikephoros began when he dismissed Michael Bourtzes from his position following his disobedience in the siege of Antioch. Bourtzes was disgraced, and he would soon find an ally with whom to plot against Nikephoros. Towards the end of 965, Nikephoros had John Tzimiskes exiled to eastern Asia Minor for suspected disloyalty. It is also possible that Nikephoros' wife, Theophano, was involved in the plot. Both a popular and a powerful public figure, the exile of Tzimiskes ensured Nikephoros' demise, and he was assassinated in his apartment by Tzimiskes himself on December 11 969.